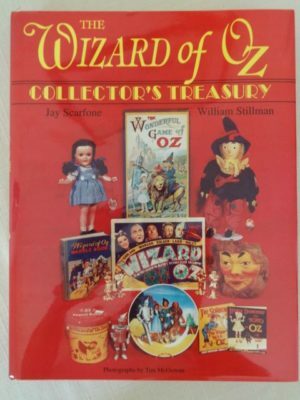 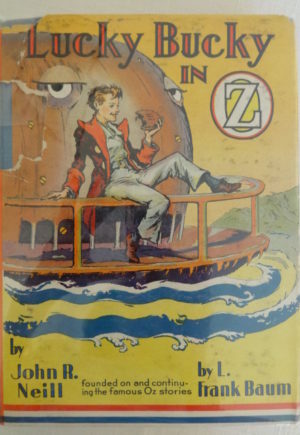 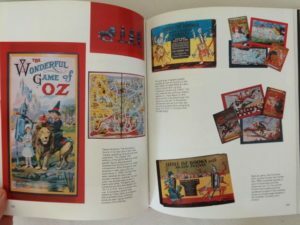 Here is the Wizard of Oz Collector’s Treasury–an invaluable guide to Oz collectibles of all types, even with a price guide! 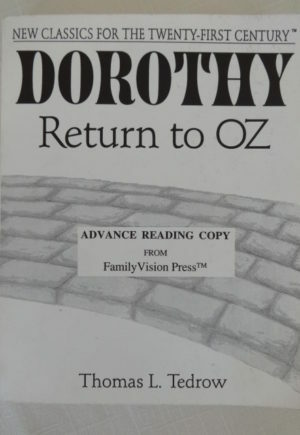 Published in 1992, this copy signed by both authors–Oz experts Jay Scarfone and William Stillman. Over one thousand “Ozzy” artifacts in 254 pages, including autographs, books, buttons, dolls, games, puzzles, figurines, drinking glasses, postcards, novelties, publicity and promotion, posters and lobby cards, records, sheet music, and more. 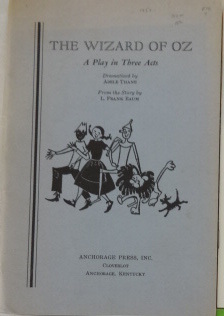 In near fine condition, with no noticeable flaws. 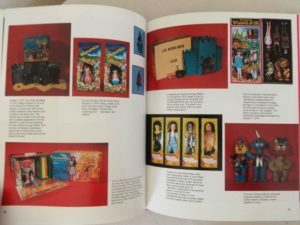 With price list laid in. 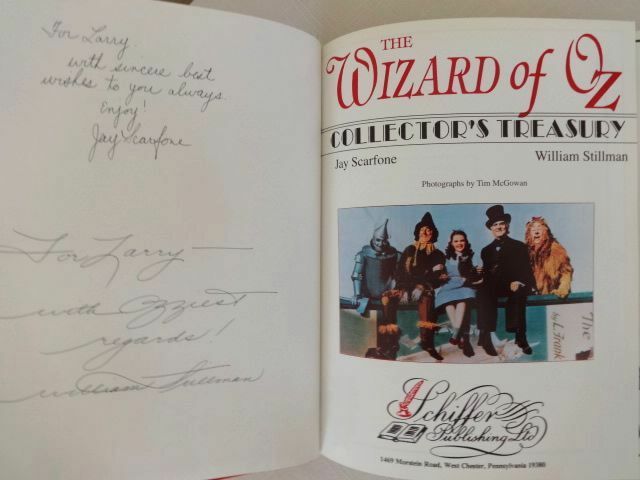 The book is personally inscribed to former owner (Larry). 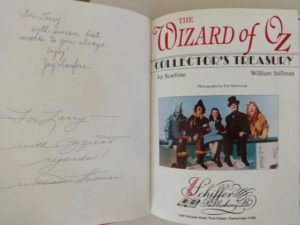 I can’t find any other signed copies online.